You will learn the theory and techniques that put this health into your own hands. You will come to understand breathing and the wider role of oxygen in our bodies, asanas and movement to increase circulation of the blood and lymphatic system, the role of endocrine glands how to regain their full functionality and cooperation, as well as much more. All this is delivered through the ancient science of yoga studied and researched in David's 5 decades of study. The Immuno-health program is an intensive, personally tailored program aimed at quickly bringing health back to your mind and body. The main focus is getting our immune systems to return to their full capacity in defending and detoxifying our bodies. This is done through a variety of techniques such as movement, breath control, meditation and visualizations, sound therapy, massage and much more... highly recommended for those already suffering from degenerative diseases such as cancer or MS, and a variety of other auto-immune disorders. We walk you through the process of pushing these diseases into remission. This is our Healing & Education Program, a 3 week course for those wishing to learn the fundamentals of yogic health. It has been designed after decades of success with healing by yogic methods and re-formatting belief systems. The immune system of the individual is essentially re-empowered, and the individual effectively heals themselves. Knowing these essential principles of healthy living empowers a person to remain free of disease for as long as you want to be on this planet. 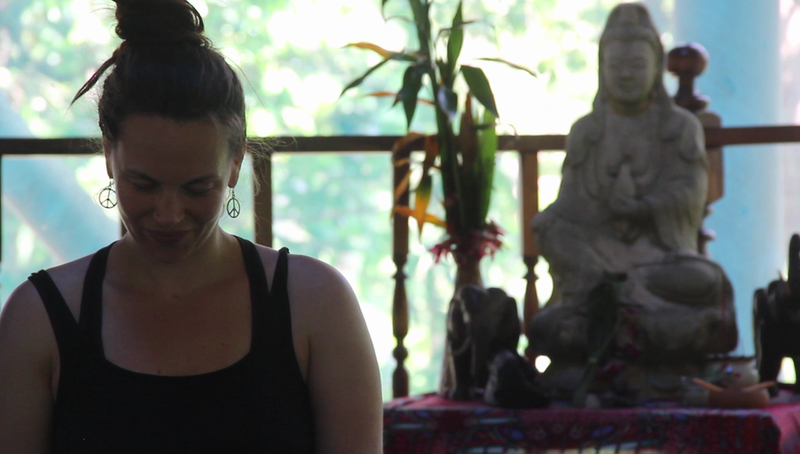 Based on the knowledge of the chakras, and learning how to use these energies to rejuvenate glands and organs, this retreat can empower you to become independently healthy for as long as you decide to continue the maintenance techniques. Private sessions are able to be booked for a variety of therapies or simple meetings regarding you and your health. David and the assistant teachers have many years of experience and results that help them work with you to find the root causes of what you are experiencing in your life. The techniques listed below, as well as many more are applied expertly depending on what the calling is at the time. Our suggestion is to be in touch through the contact page, or come to see us in person so that we can work out a time to suit you. select the most appropriate means for you. In general, we breath in and utilize only 10% of our lungcapacity. Pranayama (breath and energy control) is the ancient science that dramatically increases this percentage, and adds new vitalization to your life, with techniques that will oxygenate all the cells in your body and literally flush out disease. Learning how to breath properly is the first and most fundamental technique to learn at Pyramid. Yoga is most famous for its asanas, and for good reason. Practising yoga asanas is an incredibly powerful means to bring focus and awareness to our physical, energetic and mental bodies - something that is central to our experience in this world. Add the flow of movement to create better circulation of blood and lymph, bring self-love into our awareness and much, much more. At the fundamental level, our universe is simply vibrating energy. Our body therefore operates and communicates at this subtle level, through energetic vibrations. Understanding this fundamental fact, David has been using sound vibrations of the chakra frequencies to help influence a level of harmony and synchronicity within our minds and bodies. Spinal Therapy. This is a series of techniques, similar to massage with a focus on the spine. Literally central to our health, through ancient systems of the chakras and kundalini, or modern systems of thought alike, a healthy, supple and aligned spine is of incredible influence over our experience day to day. Chikitsa is the science that starts with a focus on our spine. At Pyramid you have a chance to detoxify and remove contaminants from your environment (it's easy when you live in the jungle). We extend this with specialised diets, such as brown rice or papaya fasting that gives our mind and bodies the much needed time to focus on the more important things it hasn't been given time for. Let's take a look at you, your past and your belief systems that have placed you at Pyramid Yoga Center for healing in the first place. An often overlooked component of health in western medicine, is the belief systems (created by your experiences, associations and society) that are creating or triggering the illnesses themselves.